Coleman Stock Feeds is a major supplier of general and custom mix stock feeds. Coleman Stock Feeds supply general farm products and custom made loose licks and blocks. Animal health and production products, equine supplies, intensive animal supplies, wormers, vaccines, drenches, supplements. Zoetis offers a range of products, services and solutions across eight core animal species including farm animals such as cattle, pigs, poultry, sheep and fish and also companion animals including dogs, cats and horses. 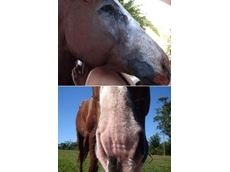 01/10/09 - Heal with Ease recently supplied a homeopathic treatment for a horse suffering from mud fever and scalding.